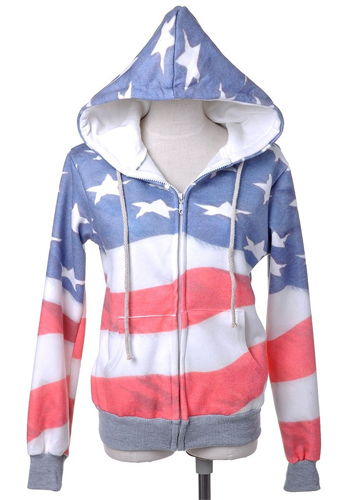 Show your patriotic spirit with this red, white and blue American flag hoodie. It is made of cotton and polyester. It features zip front, kangaroo pockets and all-over American flag print. For a casual look, you can wear slim jeans and sneakers with this red, white and blue hoodie. There are three different sizes are available Small, Medium and Large. About 47% of customers said that this this hoodie runs small whereas 45% peoples said fits as they expected. 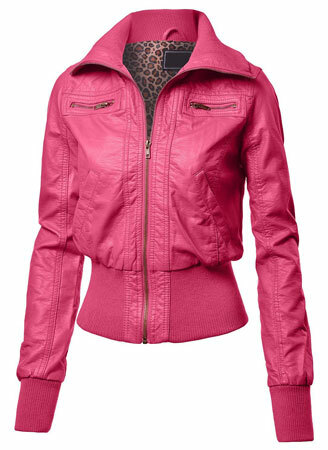 This women’s faux leather bomber jacket is a cropped jacket look. It is very cute and good quality. It has four front pockets. Among them two are Zippered Pockets and the rest two are slanted pockets. This women’s faux leather jacket gives you a little of an edgy look. It keep you warm enough. You can add a little flare to your outfit with this jacket. Pockets: 2 front zip up pockets and 2 front slanted pockets. The women’s faux leather bomber jacket may run small. Hence choose the size carefully. If you confusion about the size then it is better to choose a size up. You should remember that about half of the customers said this fits as expected whereas the greater part of the rest said that this women’s faux leather jacket runs small. 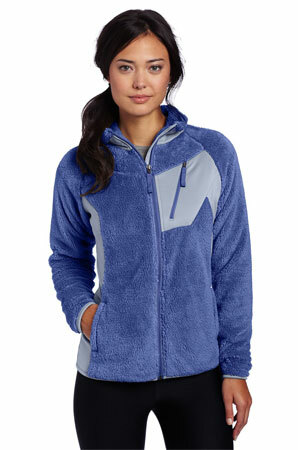 The Columbia women’s double plush sporty full zip jacket is extremely soft and fluffy. It is made of 91% Polyester and 9% Elastane. If you wear with leggings or skinny jeans, it will looks great. Various sizes are available such as X-Small, Small, Medium, Large and X-large. Moreover various color are also available. This Columbia double plush sporty full zip is perfect for any places. It will provides you comfort a sunrise on a chilly morning or headed out for your daily errands. The Columbia Women’s Big Tested Tough In Pink Benton Springs Full Zip Jacket is a soft, cozy fleece with everyday style. It proceeds go to helping support key breast cancer prevention programs. It has two zippered hand pockets. It Isla color but more color are available likes Sea Salt, Pink Ice, Black. About 80% of customers said that this columbia benton springs full zip jacket fits perfectly.